polyiso roof insulation and cover boards. Firestone, Versico (a Carlisle company), and GAF are the leading manufacturers of flat roofing products. Spokane Roofing Company is qualified to install, repair and service, including warranty work, on all three. The Firestone roofing contractor certification process was not simple. The company recruits only the best commercial roofing contractors. It has been a five-year process for Spokane Roofing to reach that goal. Getting certified by Firestone is a huge accomplishment in the commercial roofing industry. Firestone watches you for years, and they are very savvy. They listen to suppliers especially. Once they determine that you are a leader in the area, they invite you to get involved with their products. Firestone contractor certification is very satisfying for us, because it opens numerous opportunities and gives us greater credibility in the roofing industry. Certainly, it is valuable for us to be able to work with multiple roofing materials manufacturers. 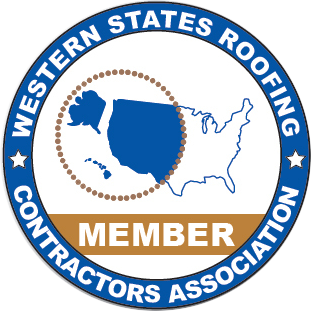 Spokane Roofing is one of only a handful of commercial roofing contractors in Washington that are certified in all the leading lines. Numerous SRC employees attended a recent Firestone training at Roofing Supply Group in Spokane Valley, WA. We sent our commercial foreman and superintendent, project manager, estimator, repair and maintenance chief, as well as several installers. Training our employees is important to me. As we grow, there will be an even greater emphasis on training, especially for new products and techniques. Firestone Building Products offers a program called Building Products University. It combines one-day online courses with instructor-led workshops to present important information and concepts. We look forward to our next training opportunity. It is crucial in the commercial roofing industry to stay ahead of the competition, and keeping up with new technology is a key advantage. Training and education help keep everybody’s head in the game. That is why we want all of our people involved. That does not just mean Firestone, though. We have great relationships with GAF and Versico. We plan to keep it that way. Both companies have treated us very well over the years. It is important to me to nurture all of our relationships with roofing manufacturers. As Spokane Roofing grows its commercial roofing business, one of our biggest challenges is to make sure everybody in our company is on the same page as we work with manufacturers, suppliers, and customers. Everything evolves in business, and we need to evolve with it. Success depends on your people. Everybody comes with a different skill set. One thing that is the most fun for me is that, as we grow, we continue to attract quality people to Spokane Roofing Company. That is not just good for us; in the end, it is good for our customers, too.